Here’s where we should begin to work with toddlers with severe developmental disabilities and not on teaching them to talk. In this show, I discussed specific activities, ideas, and toys to help improve this area, as well as what goals you’d write for a child’s plan. Some parents don’t care so much about writing goals, but therapists do! I want to be sure that both parents and therapists are confident in their ability to accurately address (and document if necessary!) 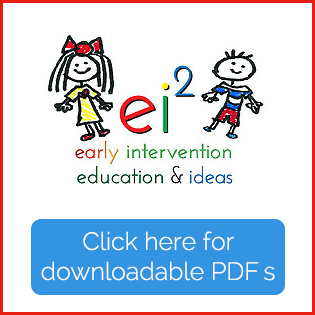 developmentally-appropriate goals and strategies. 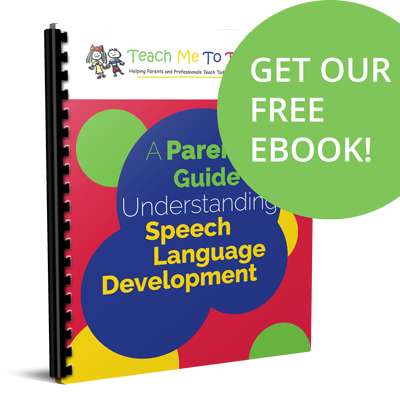 Remember that this information is best suited for speech therapy for toddlers with severe delays and any young child with a significant developmental disability. As a general guide, this would include children who functioning in the birth to 6 month developmental range. Learning that occurs in this phase happens through exploration with repeated exposure during sensory-enriched experiences. I LOVE toys that can do “double duty” meaning one that encompasses several senses. For instance, a soft toy a child can hold and that will make noise when squeezed. Or a play gym with various things to see, touch, and mouth that can be placed above a child when he’s on the floor or his crib or even in a stroller or another seating system. We have to meet a child where he is, right now, so that we can help him move forward. If you have a child who does not consistently respond to things in his environment, this IS the place to begin working with him or her. I talked about the principle of “backing up” to the point where a child can be successful during this week’s show. Listen for a full explanation if this is new information or difficult for you to wrap your head around! At the end of the show, I talked about matching your written goals to what you’re currently doing in sessions and provided some preliminary guidance, particularly for therapists. Because agency, state, and insurance requirements vary from place to place, be sure you’re meeting those predetermined requirements so that therapy services get reimbursed! 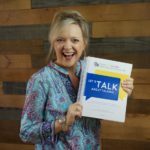 I also discussed something else about goal writing that I firmly believe and practice every single day….it’s very important that we do not write a goal for a child at this developmental level to “use words to communicate” because frankly, that’s unrealistic. For more discussion, listen to the show! Hello and Hafa Adai from the island of GUAM! I just learned that my 1 year old niece is showing signs of having autism. I have found a huge amount of help from your site. Thank you a whole lot for the information in which I use for knowledge.